Want to reduce your cholesterol intake without compromising on taste? 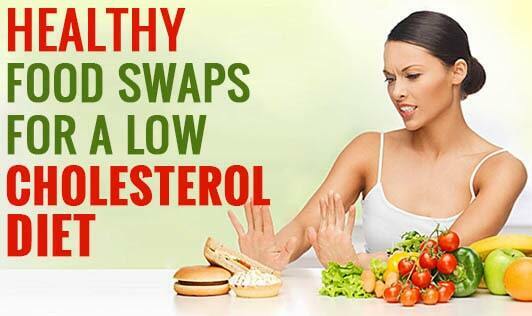 People usually assume that foods that are known to reduce cholesterol are tasteless. They forcibly take it like a bitter medicine. Low cholesterol doesn't mean eating only oats or tofu. Here are few simple substitutions that will help you fight cholesterol painlessly and without compromising on taste. 1. Use walnuts instead of croutons: Simple carbohydrates are known to increase bad cholesterol. For a healthier salad, replace your carbohydrate loaded croutons with walnuts. 2. Sip on red wine instead of cocktails: Studies indicate that moderate alcohol intake increases good cholesterol. But if your cocktail treats are margaritas and other sugary carbonated beverages, you are just adding to empty calories. Instead, switch to red wine. It has about one tenth the calories of margaritas. You'll also get a supplement of antioxidants like flavonoids that reduces your LDL and increases your HDL cholesterol. But considering the effects of alcohol, it is advised to drink wine too in moderation. 3. Vinegar and lemon juice is the best salad dressing: Drenching salads with a high fat dressing is like jogging in a space filled with smoke. Drizzling salad with fresh lemon juice or vinegar can take you in the right direction to cut down your cholesterol levels. 4. Ditch the butter: One tablespoon of butter has saturated fat that is more than one third of the daily value. Switch to low fat or thick yoghurt which is of good quality protein and also very low in cholesterol. Instead of using butter to grease the pan, use olive oil or white wine vinegar. 5. Fish is better than chicken: Fish contains heart friendly omega-3 fatty acids. The best strategy to reduce cholesterol is to include fish regularly in your diet. 6. Quinoa, a healthy alternative to rice: Quinoa (pronounced as ‘Keen-wah'). One cup of cooked quinoa when compared to rice has 15%lesser carbohydrates, 60% more protein and 25% more fiber which can help reduce more cholesterol. 7. Skip mayonnaise and switch to low fat yogurt: Whether you use it to garnish your dish or as a base for your burger, mayonnaise adds a shot of saturated fats to your healthy food. Cut out excess fat without sacrificing taste and texture by swapping it with fat free yoghurt which is one of the world's healthiest foods. 8. Stop munching on potato chips: There is certainly a healthy and better option than potato chips. It is the home made popcorn, which contains 90% less saturated fats and definitely more fiber.